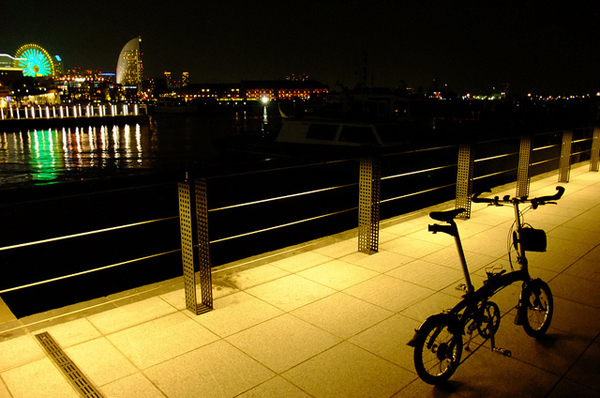 This nice shot of a folding bike — which are great for transit commuters — comes from the port city of Yokohama, Japan. This is Japan’s second appearance in our “art of transit” series and number three will be tomorrow. Of course, we still have many countries waiting to make their debut. Keep your chin up, Luxembourg! So, world travelers — if you would like to a submit a photo or photos of something transportation-related, post images to Metro’s Flickr group or email them to sourcemetro@gmail.com. The photos we’ve featured can be seen in these galleries on Flickr. Or click on the ‘art of transit’ below to view our daily posts.